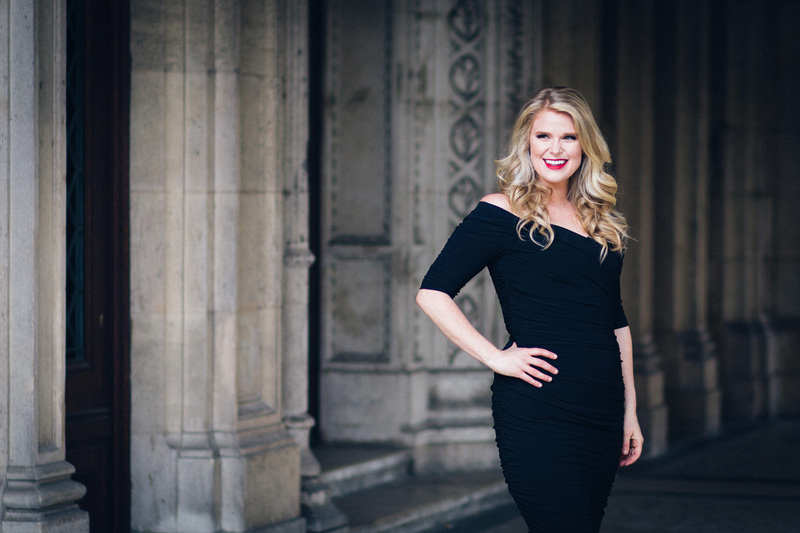 Hailed for her brilliant, highly refined soprano voice and dynamic interpretations, American soprano Hailey Clark is quickly becoming a young soprano on the rise in both Europe and North America. She is the recipient Österreichischer Musiktheaterpreis (Austrian Music Theater Prize in Opera) in the category of ‘Best Female Leading Role’ for her performance as Alma Beers in Brokeback Mountain (2016) at the Salzburger Landestheater. Hailey Clark joins the ensemble at Theater Basel in the 2017 – 2018 season where she will sing three new productions: Lucio Cinna in Lucio Silla, the 5th Maid in Elektra, and Anne Trulove in The Rake’s Progress. She returned to the Salzburg Landestheater in the 2016- 2017 season as Musetta in a new production of La bohème conducted by Mirga Gražinyte-Tyla. She also returned to the North Carolina Opera as Freia in Das Rheingold and the Florida Grand Opera as Micaela in Carmen. Ms. Clark made her German debut as Fiordiligi in Così fan tutte at the Stuttgart Opera and returned to the US for performances of the same role at Central City Opera. In the 2015-2016 season, Hailey Clark made her European debut at the Salzburger Landestheater in the Austrian premiere of Brokeback Mountain with a newly orchestrated chamber version by composer Charles Wuorinen. She was a member of the young artist program at the Florida Grand Opera for her first performances of Fiordiligi in Così fan tutte and Kate Pinkerton in Madama Butterfly. She also returned to North Carolina Opera for Donna Elvira in Don Giovanni and Fort Worth Opera as Leïla in Les pêcheurs des perles. In the summer of 2014, Ms. Clark was seen at Santa Fe Opera covering Marzelline in a new production of Fidelio under the baton of Harry Bicket. An avid performer of new music, Ms. Clark made her debut in 2012 with Fort Worth Opera in the role of Dika/Alecto and cover of the title role in Mark Adamo’s Lysistrata. Also that season, she sang the role of Merry in William Schuman’s The Mighty Casey with Opera Saratoga, Anne Trulove in The Rake’s Progress with UM Opera Theatre, and was involved in the workshop of two exciting world premieres: Libby Larsen’s A Wrinkle in Time (Mrs. Murray) with Fort Worth Opera and “Labyrinth of Love,” a work written for soprano and chamber ensemble by Grammy award-winning composer Michael Daugherty. Ms. Clark is a two-time Regional Finalist of the Metropolitan Opera National Council Auditions, a 2015 International Finalist in the Competizione dell’Opera Italian Arias Competition (Linz, Austria), and a grant recipient from the Santa Fe Opera: “Award for Outstanding Apprentice.” She is also a the 2014 First Place Winner of the Heafner-Williams Competition, prize winner of The Charlotte Opera Guild Competition and Shreveport Singer of the Year Competition(s), and completed a five-city Concert Tour of China and Inner Mongolia in 2009 as a winner of the Charles A. Lynam National Vocal Competition. Hailey Clark holds a Master of Music in Vocal Performance from the University of Michigan School of Music and a Bachelor of Music in Vocal Performance from the University of Maryland School of Music. She is also a proud alumnus of the Freie Universität Berlin’s FU-Best program.